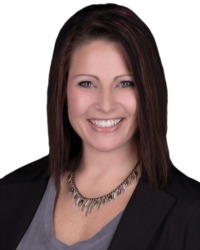 A former owner of a successful small business, I specialize in the sale of new and existing homes in Fort Wayne, Auburn, Bluffton and the surrounding areas. Prior to real estate I was in the banking business before opening up a dance studio for children in Fort Wayne, in which I eventually sold after becoming a successful Realtor®. Leveraging my experience as a successful business owner, I am known for outstanding client service,24/7 availability, high tech marketing techniques, personal touches and as a skilled negotiator with my client’s best interest at heart. I believe strongly that it is not only my duty to represent my clients to the best of my ability, but also to educate them throughout every step of the process armed with top notch information and market insight, so that my clients make the best decisions possible. I am honest, hardworking and extremely knowledgeable about the real estate industry, having worked with top agents around the area. 17. I do not enjoy doing Landscaping or Yard Work at all..